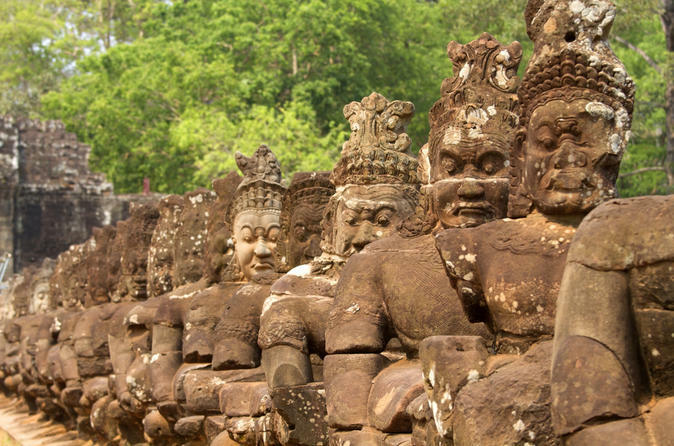 Take your adventure to new heights on a 5-hour zlipline tour inside UNESCO-listed Angkor Archaeological Park. 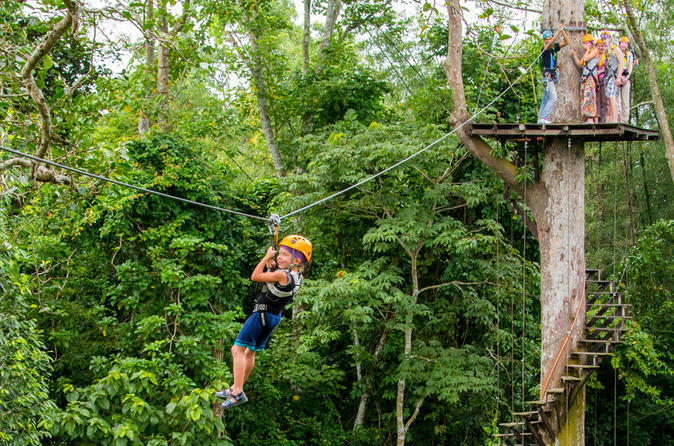 This Flight of the Gibbon treetop adventure from Siem Reap takes you up seven staircases, across four hanging bridges and along 10 ziplines that cross over the jungle canopy with 21 platform stations in between. Two guides per group of nine ensure safety at all times and explain what to look for in the surrounding rainforest. Choose from three departure times that include round-trip hotel transport and a Khmer-style lunch. 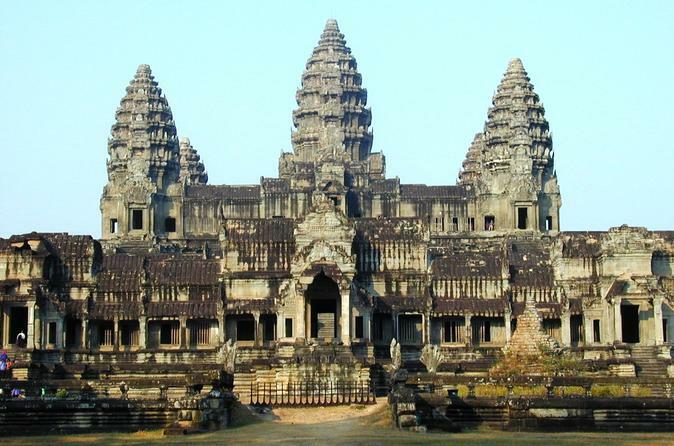 This full-day tour allows plenty of time to enjoy the majesty and awe of the temples of Angkor. Explore, climb and have the exclusive benefit of scholarly insight into the temple complex – Angkor Wat. End the day with a view of the sunset at Pre Rup temple. See Cambodia’s magnificent Angkor Wat and other temple ruins by land and air on this private full-day tour! 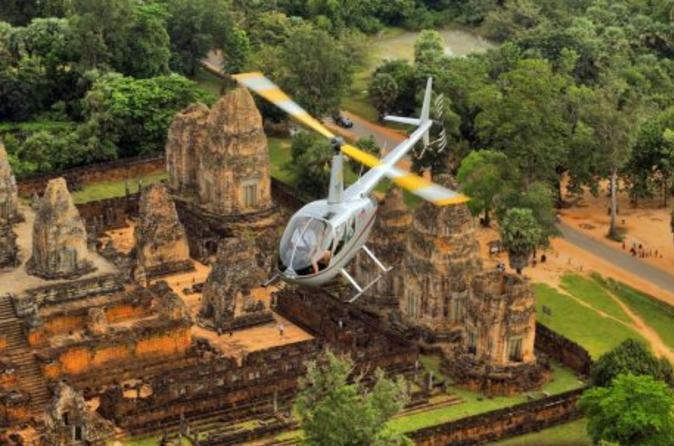 Explore the temples of Angkor Archaeological Park and take in the aerial views of the UNESCO World Heritage Site on a 20-minute helicopter flight. 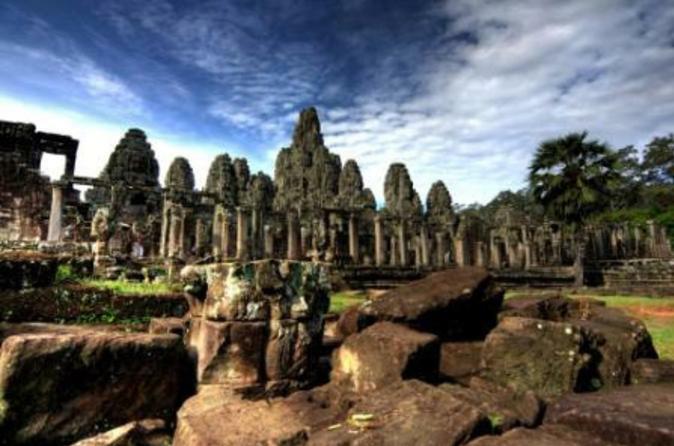 You’ll visit the famous Bayon in Angkor Thom — the capital city of the Khmer Empire — as well as Ta Prohm and Angkor Wat. Complete the day with dinner and a traditional dance performance! Breakfast and round-trip hotel transport by air-conditioned private vehicle from Siem Reap are included. 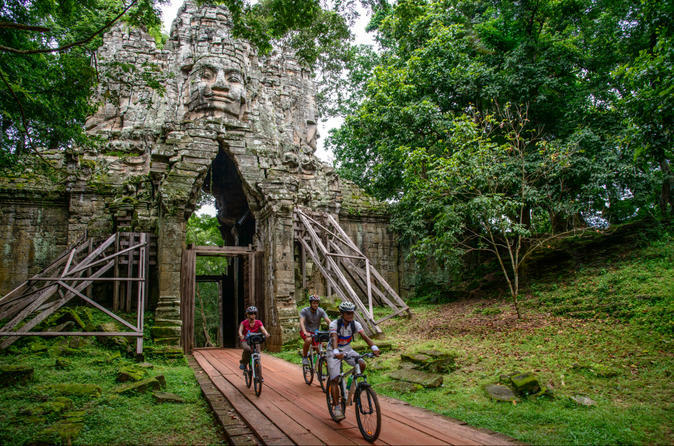 Experience high-speed adventure and Ta Prohm, one of Angkor’s most visited temples, on this 6-hour guided combo tour from Siem Reap. Inside the UNESCO-listed Angkor Archaeological Park, wander about Ta Prohm, brambled with jungle roots, a fantastical scene straight out of a fable. 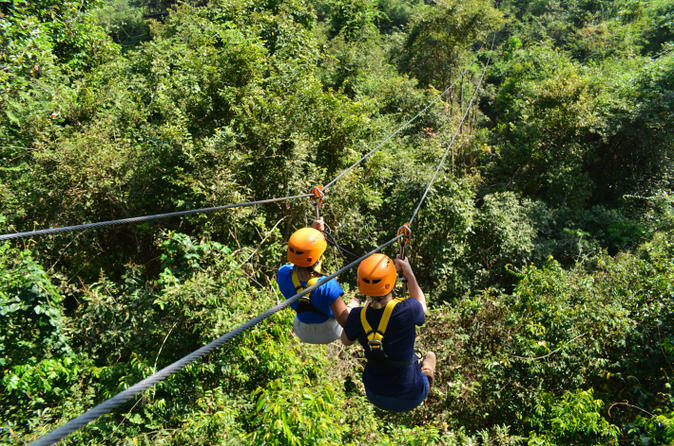 Then sail along 10 ziplines, trekking across hanging bridges and spotting gibbons along the way, before rappelling down to the forest floor for a delicious Cambodian lunch. Transport and a day park pass are included in this memorable tour. 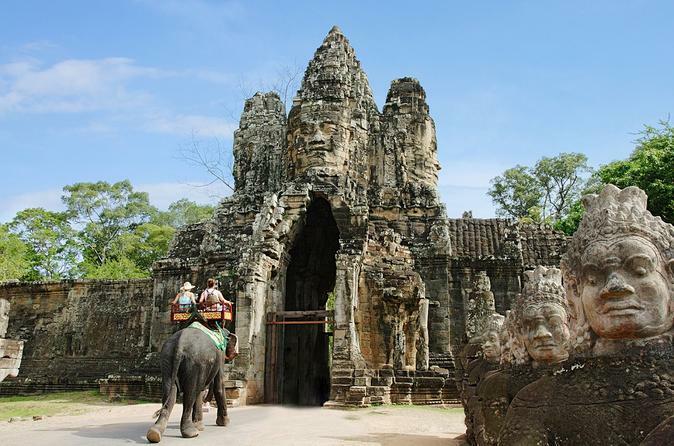 Siem Reap is the gateway to one of the world's most amazing archaeological sites. 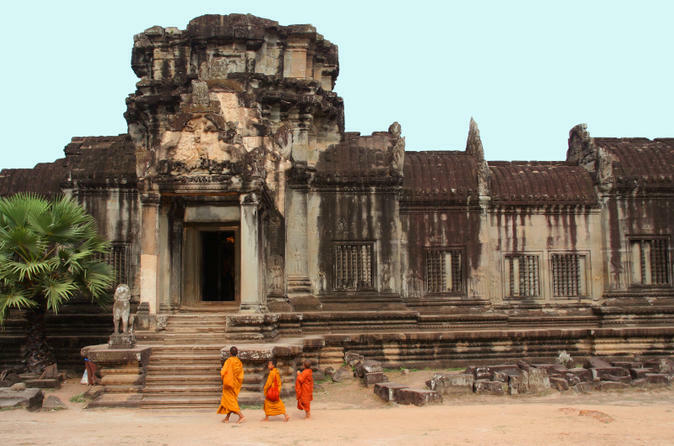 Built between the 9th and 13th centuries when the Khmer Empire was the preeminent influence in South-East Asia, the temples at Angkor were believed to represent the cosmic world and were set in perfect balance, symmetry and composition. This day trip focuses on the main highlight temples of Angkor including Angkor Wat, world’s largest religious monument, the ancient walled city of Angkor Thom and the jungle temple of Ta Prohm.